In 2014, it was reported that 41.7 percent of Fortune 500 companies utilized eLearning (online learning) technologies.¹ Large companies aren’t the only organizations investing in eLearning; small- and mid-sized companies are, too.² eLearning technologies like learning management systems and mobile learning tools allow organizational leaders to manage training content conveniently, from a central location. They also make it simple for leaders to design eLearning courses that encourage engaged learning. About 60 percent of companies spend around $1000 per employee on training each year.³ Certainly some of this money can be attributed to eLearning expenses. However, since many companies do not track their eLearning-related spending, it is difficult for a source to report with accuracy exactly how much money organizations spend on eLearning yearly. What is known is that a high number of organizations use eLearning technologies, and the cost of these technologies can be considerable. This leaves no doubt that company leaders are investing major finances into eLearning each year, and they hope for a healthy ROI. 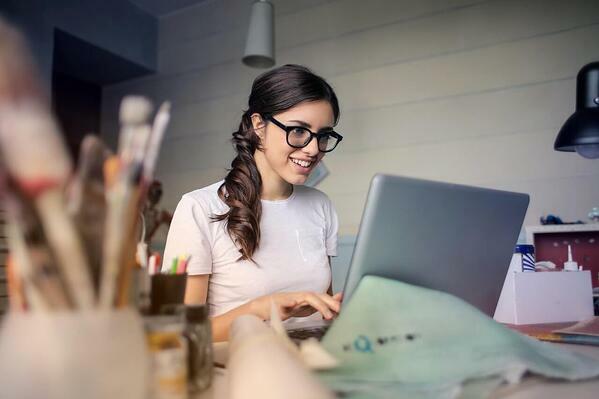 Regardless of how much companies are spending on eLearning, one thing is certain: Ineffective corporate online learning courses give companies a bad return on their eLearning investment. This is because boring eLearning courses don’t encourage regular participation in training. Consistent participation is critical to effective training and a good ROI. Employers who want to ensure this must create corporate eLearning courses that promote engaged learning. Use LMS content authoring tools -- Does your company utilize an LMS? If so, make sure you are taking full advantage of any LMS content authoring tools the system provides. These tools help administrators upload a variety of types of training content to eLearning courses quickly and seamlessly. Bring an instructional designer on board -- If your company has not been getting good results from online training courses, maybe it’s time to hire an instructional designer. These professionals specialize in creating content that increases the efficacy of a company’s learning objectives. While it can be pricey to hire an instructional designer, it is often worth the investment. Pull training from an LMS course content library -- Some learning management systems offer an eLearning course content library. If your company is in the market for an LMS, you may want to put this on your list of non-negotiable eLearning system features. A course content library can be especially helpful to organizations with a low eLearning budget (i.e. companies that can’t afford to hire instructional designers or purchase pre-made content). Gamify training -- To quickly grab a learner’s attention, gamify training. As a contributor to eLearning Industry stated, “Gamification in eLearning is fast emerging as an effective technique to engage learners.”4 If you’re not sure where to start with gamification, create an interactive, simulation-based, task-oriented gamified course. The answers to all your questions about what an LMS is and how it can benefit you. SkyPrep. Fortune 500 companies use E-learning. Why not you? https://skyprep.com/2014/12/16/nearly-half-fortune-500-companies-use-e-learning-why-not-you/. eLearning Inside News. Using eLearning training in small businesses. https://news.elearninginside.com/using-elearning-training-small-businesses/. Training Magazine. Top spending trends for training, 2016-2017. https://trainingmag.com/top-spending-trends-training-2016-2017. eLearning Industry. 6 killer examples of gamification in eLearning. https://elearningindustry.com/6-killer-examples-gamification-in-elearning.